To celebrate Half-Life's 20th (!) Anniversary, we have released the trailer for our next big update. 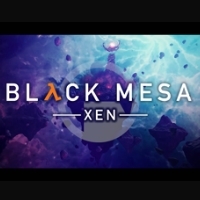 Feast your eyes on Black Mesa: Xen! To celebrate the 20th anniversary of the release of Half-Life, the long awaited final chapters of Black Mesa are shown in motion for the first time! Xen is targeted for release in Q2 2019.